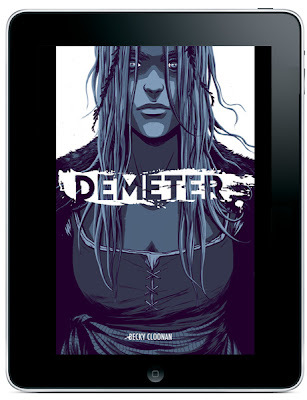 ComiXology announced that Becky Cloonan’s highly- anticipated comic Demeter will debut Wednesday, June 19th on comiXology, the revolutionary cloud-based digital comics platform available across iPhone, iPad, Android, Kindle Fire, Windows 8 and the Web. Cloonan’s new, self-published comic book will be available through comiXology Submit, comiXology’s portal for comic creators that makes their independent works available on comiXology’s buy once, read anywhere digital comics platform, and instantly accessible to a worldwide audience of fans. An award-winning cartoonist and illustrator, Cloonan made history in 2012 for becoming the first female artist to draw the Batman main title in the caped superhero’s 70-plus year history. In addition to illustrating works for publishers including DC Comics, Tokyopop and Vertigo, Cloonan has successfully self-published print versions of her own original comics. Cloonan’s comics The Mire and Wolves have consistently been the two top-selling books on comiXology Submit, and have been available since the portal launched earlier this year. 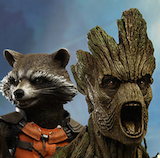 In the span of just four years, comiXology has quickly created the world’s first viable digital marketplace for leading comic book and graphic novel publishers. With the advent of comiXology Submit, the company is now enabling independent comics creators, from promising new talent to established veterans, to reach that global audience. With comiXology Submit, independent creators simply need to upload their comic book and graphic novels for approval at no cost. Then comiXology does the rest, from transforming the work with comiXology’s immersive Guided View™ reading technology, to making it available on comiXology’s cloud-based digital comics platform. 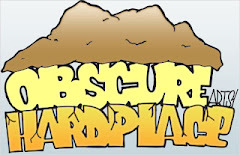 Creators interested in submitting works for approval can visit http://submit.comixology.com. Comic book fans interested in finding works by Cloonan and other independent creators are invited to visithttp://www.comixology.com/submit.